The program will feature Horner singing two songs and an aria from a work-in-progress, Supové performing a solo piano piece, Kline and Cossin playing a section from a work-in-progress, and Kline and Jarmusch performing feedback improvisation over a composed bed played on 24 boomboxes, framed by projections of footage of NYC shot by Thomas Edison. A veteran of New York’s downtown scene, Phil Kline stands out for his range and unpredictability. From vast boombox symphonies to chamber music and song cycles, his work has been hailed for its originality, beauty, subversive subtext, and wry humor. Early in his career he cofounded the rock band the Del-Byzanteens with Jim Jarmusch and James Nares, collaborated with Nan Goldin on the soundtrack to The Ballad of Sexual Dependency, and played guitar in the Glenn Branca Ensemble. Some of his early work evolved from performance art and used large numbers of boomboxes, such as the outdoor Christmas cult classic Unsilent Night, which is now an annual holiday tradition celebrated around the world. Other notable works include Exquisite Corpses, written for the Bang on a Can All-Stars; the politically-infused Zippo Songs and Rumsfeld Songs; John the Revelator, a setting of the Latin Mass written for early music specialists Lionheart; and the Sinatra-inspired song cycle Out Cold, written for Theo Bleckmann and premiered at BAM’s Next Wave Festival. 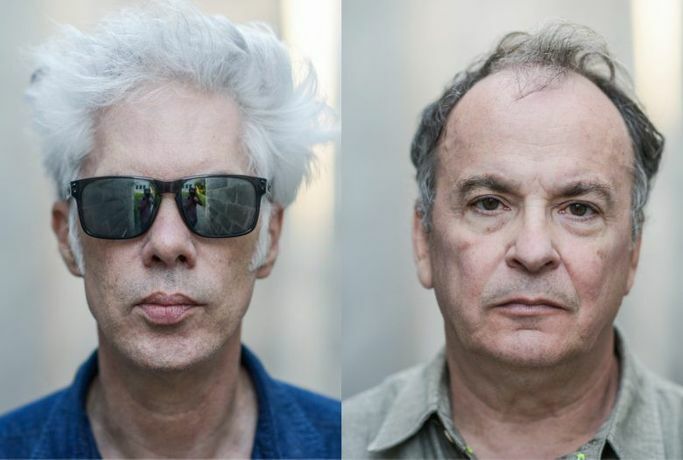 Phil hosts a daily radio show on WQXR / Q2 in NYC and is currently collaborating with filmmaker Jim Jarmusch on a music theater spectacle about Nikola Tesla. Jim Jarmusch is an independent film director known for such works as Stranger Than Paradise (1984), Down by Law (1986), Dead Man (1995), Ghost Dog: The Way of the Samurai (1999), and Only Lovers Left Alive (2013). About the Series: Curated by Meredith Monk features performers selected by Monk who are following his or her own path, asking questions, finding places that fall between the cracks of genres or categories.